Lynette reached out to me last year regarding newborn photography and loved the lifestyle approach I take! She booked the First Year Package which also includes a 6 month and one year session… because if you know kids, they like to GROW. FAST! I think documenting the first year is so important so you can freeze and revisit all the those little changes whenever your heart desires! This beautiful Mama of two is actually a talented florist and wedding planner serving the West Michigan & Detroit areas! Check out all the pretty her and her team have created on their website, Every Little Detail. I just adore meeting other creatives in the industry and it’s such a great honor when they select you for such intimate family moments! 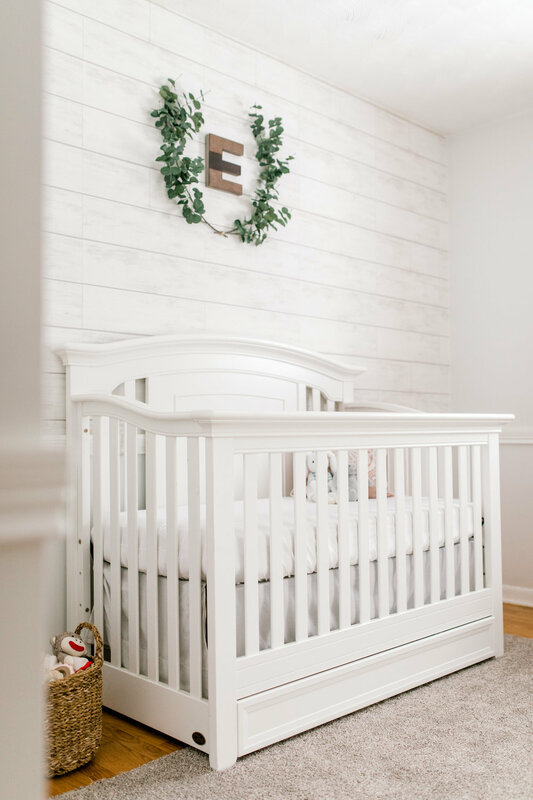 Of course with Lynette’s background and industry expertise, I knew Eastyn’s nursery (and the whole rest of her house!) would be picture perfect, and it was! Details matter in design, and she created spaces that work visually while keeping them functional too! Eastyn was the perfect mix of conked out and alert. I was able to capture her precious sleepy self, but also her gorgeous bright eyes! Congratulations Ulman Family on another gorgeous girl! If you enjoyed this newborn session, you may also love..